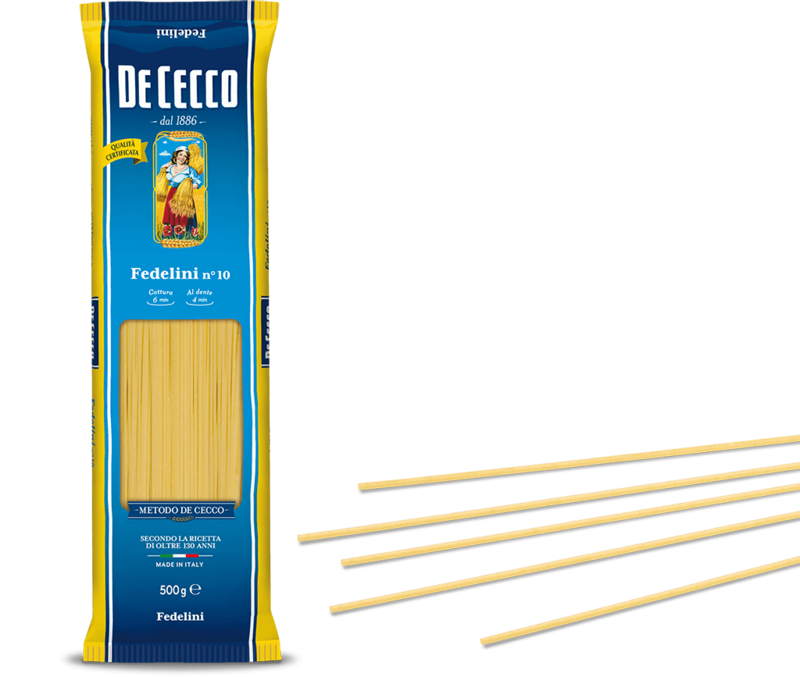 The origin of Fedelini can be traced back to parts of Liguria and the province of Savona at the beginning of the 14th century with the start of the production of macharoni and tria, also called fidej. They are extremely thin which is how they can still be distinguished from spaghetti. Simple condiments are recommended for this type of pasta. It is excellent combined with butter dressings, such as uncooked butter and cheese, or melted butter with sage and cheese. Egg or fresh raw tomato based sauces are also excellent. Another way to enjoy Fedelini is in a light, chicken broth. In addition to broths and pasta dishes with sauces, this pasta is also used to prepare oven-baked dishes in the Naples region.